THE GOOD: The Revel F36 is a 21st century audiophile tower with oodles of detail and resolution, and a broad, yet clearly focused soundstage. THE BAD: It’s a big and imposing design. The speaker’s revealing nature exposes poor recordings. THE BOTTOM LINE: The Revel Concerta2 F36 floorstander is a beautifully-made speaker which makes great sounding recordings shine. For going on 20 years Revel has been one of the most respected American speaker companies, finding favor with audiophiles and recording industry pros. The company’s selection currently includes a number of high-end towers, such as the Salon2 and Studio2, starting at $16,000 per pair. 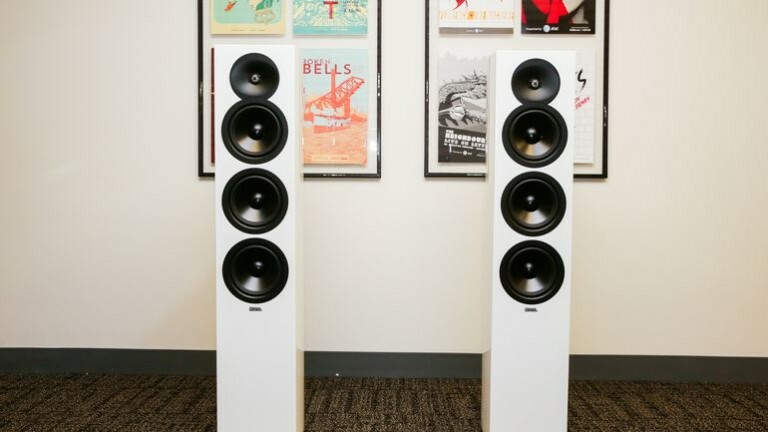 The F36 tower is much more affordable at $2,000, £1,995, AU$3,395 per pair, and it sounds great for the price. It’s an ideal choice for audiophiles craving more resolution and dynamic range scale than you’ll get from smaller and less expensive models. The F36s we reviewed here — decked out in impeccable, high-gloss white — are big boys. They would probably seem a little smaller in black gloss, the other available finish. 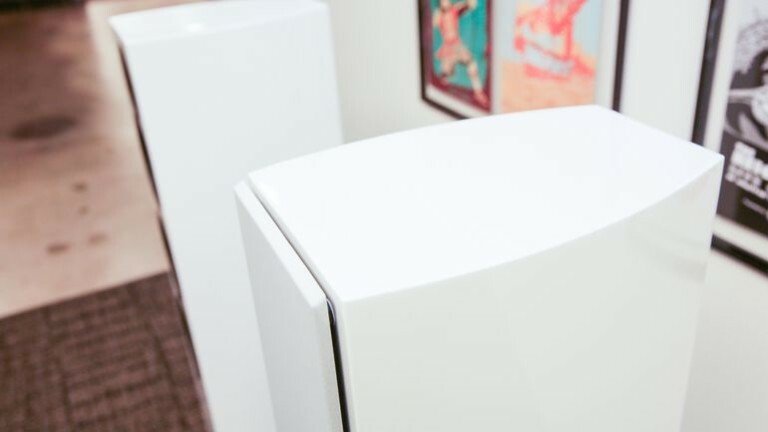 The curve sided, medium-density fiberboard cabinet stands 42.5 inches tall, and each speaker weighs a substantial 50 pounds. It’s a “two and a half way” design with three 6.5-inch aluminum drivers (two function as woofers, one as a midrange driver), and there’s a 1-inch aluminum dome tweeter set in a deep waveguide. Impedance is listed at 6 ohms. The F36 comes with magnetically attached grilles to cover the drivers, but I left the grilles off for all of my listening tests. The bottom of the F36’s rear panel houses a small bass port and a single set of speaker cable binding posts. Unlike the less-expensive Pioneer SP-EFS73 I used for comparison, the Revels are particular about positioning. I setup the F36s first on the short wall of the rectangular CNET listening room, and the sound was too forward and bright, with uneven, lumpy bass response. I wasn’t expecting that, so I moved them over to the long wall, and the sound balance smoothed out. The brightness was tamed, and the midrange was spot-on. Bass was full, with some bass frequencies bumped up, others shelved down. I used a Rotel RA-1592 integrated stereo amp and an Oppo BDP-105 Blu ray player for all of my listening tests. To get started I focused on how well the F36 reproduced the sound of voices — Thom Yorke, Amy Winehouse, Andrew Bird – and they sounded fully present and alive. High-resolution files from MA Recordings’ “Llama” album for voice and percussion sounded startlingly realistic. Treble “air” and delicacy were first rate, subtle shifts in the percussionist’s dynamics were easy to follow, and the big F36 towers all but disappeared as sources of sound. In comparison the Pioneer Elite SP-EFS73 towers has a more laid-back tonal balance and overall clarity was down. Dynamic contrasts flattened relative to the F36s. 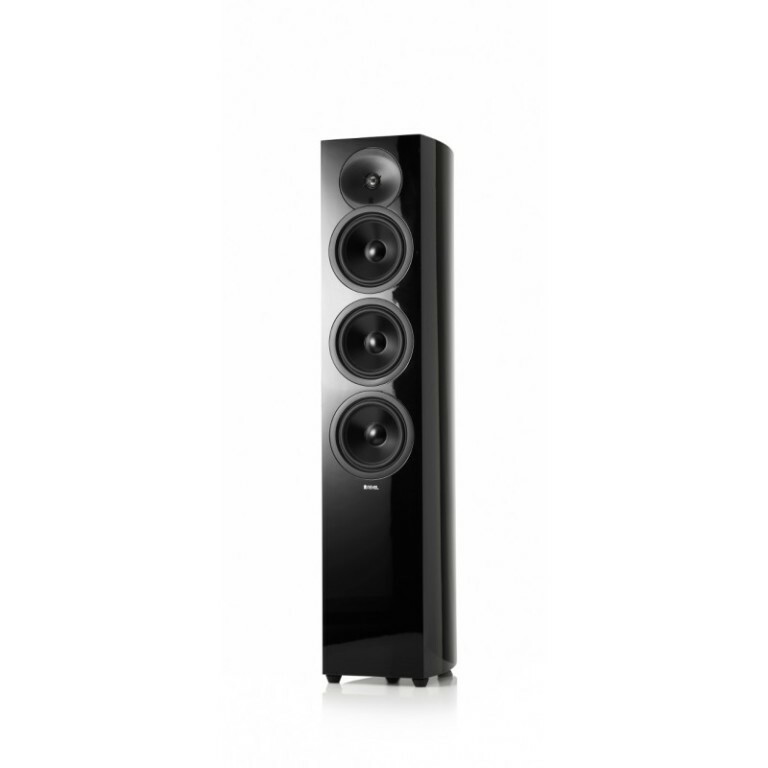 The SP-EFS73 is a much smaller tower, and it didn’t excite the room’s bass resonances like the F36 did. And you could tell it was cheaper visually; the SP-EFS73’s finish looked a little low rent next to the F36s. In any case the F36’s clarity and dynamic agility was seriously impressive. That said, I’d never call the F36 mellow, and whether its midrange and treble neutrality is an asset or a liability may depend on what sort of music you favor. Fans of classical, jazz, geezer rock and any well-recorded acoustic music will likely be smitten with the sound. Contemporary rock, pop, or any highly compressed and processed music may find the sound too brash. 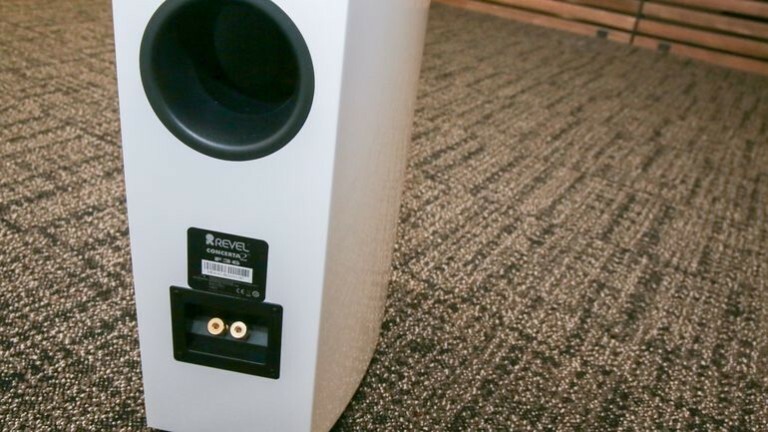 Overall the Revel Concerta2 F36 is a lot of speaker for the money, but it’s not for everyone. Audiophiles who want to hear the nuance in excellent recordings, and who have the space to let these big speakers sound their best, are the ideal audience.